So this week is not 100% centered around the food, just the “desire” to have said food. 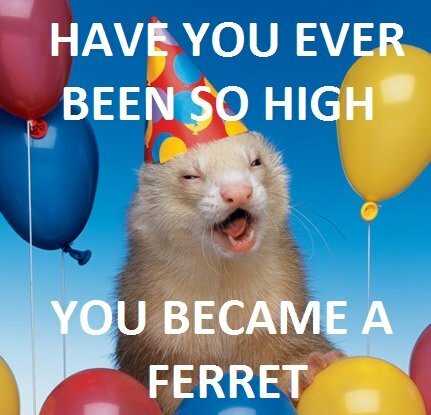 The inspiration behind Munchies is this image of a ferret wearing a party hat surrounded in balloons with a caption that is hilarious to say the least. I couldn’t dream of writing 10 words that funny in my lifetime. Surprisingly I’ve not run out of ideas yet, in fact, ideas are just presenting themselves to me in the weirdest of situations. I’m just standing in line at a coffee shop trying not the smell the hippie behind me and keeping my distance from the hipster in front of me and I get this image of a moose just destroying this bag of chips and his antlers spell out his desire. It probably was staring at all that staring at plaid that sent me tripping at 8:00am, that and the lack of food/sleep/caffeine.